LA Brides - those gorgeous Vera Wang gowns we all saw on the runways? The same ones we were salivating over and wishing Spring 2011 would get here sooner? 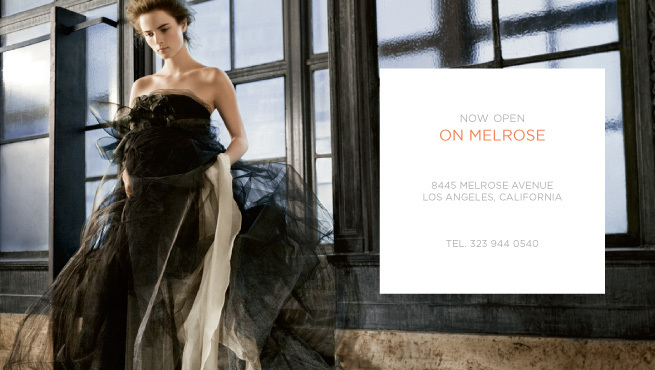 Well mark your calendars because the collection is coming to L.A.! That is one interesting dress in the ad... I actually quite like it! When I heard the name Vera Wang, only one word I would imagine and that is "brilliant". I saw some of her designs and everything looks so perfect. She's really a genius.